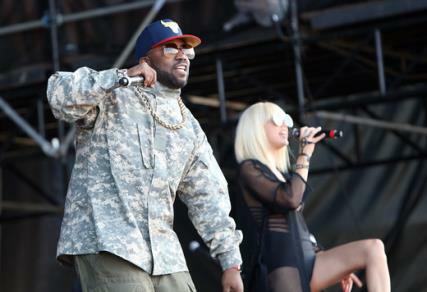 Day 3 confirmed what we’ve been covering over the last couple of days at the festival. Unexpectedness mixed with Old Faithfuls combined for another electrifying day at Grant Park. One of the former was Secret Weapons covering Fleetwood Mac over on the BMI Stage with a nice rendition of The Chain. 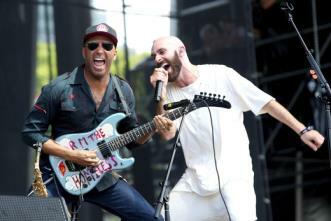 As we stated on our Facebook early in the day yesterday, when Libertyville’s finest, Tom Morello shows up to shred a surprise solo or two, you drop what you’re doing and take notice. He did just that on the Samsung stage to start the day off right. Grimes on the Lakeshore stage snatched Best Set of the Festival honors thus far with her punk-metal-dance-pop-core-loveliness. There just aren’t enough adjectives and superlatives to do the set justice, so I’ll just say this: SEE GRIMES NEXT TIME SHE’S IN TOWN. Red Hot Chili Peppers: good when we were kids, teenagers, and now adults, and if you’re just tuning into their storied career, you’d have no idea what of their age. We’ll have what they’re having, am I right?!? Seriously, how does Anthony Kiedis age so well? 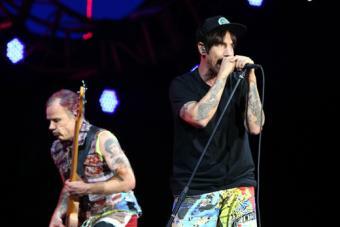 Anthony and Flea still have the energy of twenty somethings. Can’t Stop, Dani California, Dark Necessities, Snow (Hey), Go Robot, Californication, Under the Bridge, By the Way, the list of hits goes on and on like an Erykah Badu track..